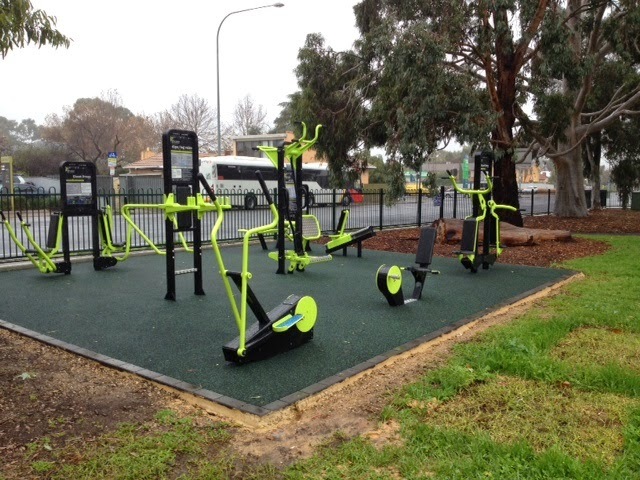 I am writing with feedback regarding the exercise/gym equipment recently erected in Page Park. else using the equipment as well and the feedback has been very positive. The area will encourage social interaction as well as keeping mobile and fit as we compare notes and chat while we exercise. Again please pass on my thanks to the Council for this excellent initiative. I saw them setting up this morning about 10am. I can find out how long the group are looked for, they had certainly taken over the entire space. I have notified staff about the damage, hopefully it is covered under warrantee. 'Positive Dog Training' has the booking. It is booked Monday's from 9am-12pm and Sundays from 8.30am - 1.00pm ;the relevant fee as per Council's fees and charges register. Now that I have this information from Council I can and will do just that. The contractors will now be back again, maybe this time they will replace the entire until. It is disappointing that such a great initiative can be sabotaged from vandalism so quickly.